Nic Sheff explains how his own experience informed the controversial scene. 13 Reasons Why is Netflix's biggest breakout original since Stranger Things, and has been met with both acclaim and controversy since its March debut. 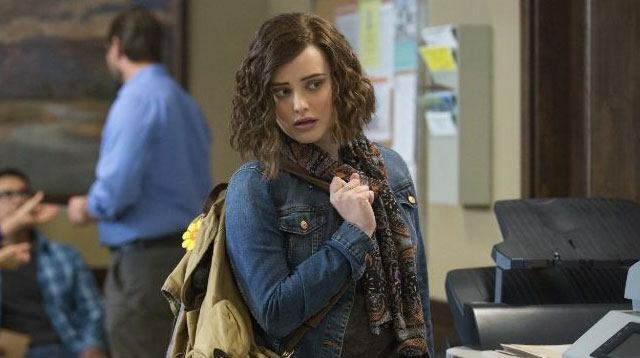 Chronicling the events leading up to and immediately following the suicide of 17-year-old Hannah Baker (Katherine Langford), the show has been criticized for its portrayal of her death. In a heartfelt op-ed for Vanity Fair, one of the show's writers Nic Sheff explains how his own past suicide attempt informed Hannah's journey, and why it was essential not to shy away from the final moments of her story. "From the very beginning, I agreed that we should depict the suicide with as much detail and accuracy as possible," Sheff writes. "I even argued for it—relating the story of my own suicide attempt to the other writers. While my reasons for ending my life were far different from [Hannah's], there were some similarities. We both experienced a feeling of complete and utter defeat." He goes on to tell the story of his own suicide attempt, and the realization that changed his mind at the last moment, "that suicide is never peaceful and painless, but instead an excruciating, violent end to all hopes and dreams and possibilities for the future." The season finale depicts Hannah's final hours in awful, methodical detail, as she puts her affairs in order, prepares the tapes that she will send to everyone who contributed to her death, and steals a pack of razors from her parents' drugstore. Further grueling is the later scene where her parents discover her body. When the depiction of Hannah's suicide came up in the writers room, Sheff writes, "I of course immediately flashed on my own experience. It seemed to me the perfect opportunity to show what an actual suicide really looks like—to dispel the myth of the quiet drifting off, and to make viewers face the reality of what happens when you jump from a burning building into something much, much worse. It overwhelmingly seems to me that the most irresponsible thing we could’ve done would have been not to show the death at all. In AA, they call it playing the tape: encouraging alcoholics to really think through in detail the exact sequence of events that will occur after relapse. It’s the same thing with suicide. To play the tape through is to see the ultimate reality that suicide is not a relief at all—it’s a screaming, agonizing, horror." In Netflix's behind-the-scenes-special Beyond The Reasons, showrunner Brian Yorkey explained that "we worked very hard not to be gratuitous, but we did want it to be painful to watch, because we wanted it to be very clear that there is nothing, in any way, worthwhile about suicide."